We didn’t hear very much about the German guitarist and "Father of Jazz Rock" during the past couple of years; at least over here in Germany we could sometimes read some articles and reviews when he had written or illustrated a new book for children. Sadly enough it was his death at his daughter’s house in Spain on June 15th, 2003 at the age of 59 that brought his music into the papers and the minds of people again. 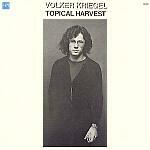 Kriegel started to play Jazz in Frankfurt, Germany together with Albert and Emil Mangelsdorff in the early Sixties while he was studying sociology as a scholar of Theodor W. Adorno (the chairman of the famous "Princeton Radio Research Project" in the US during World War II and the inventor of the term "authoritarian personality"). 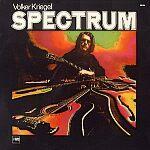 Kriegel never graduated in sociology but he brought the element of critical intellectuality into music (some older readers might remember that there once was a time when the truth was also searched for in chords, and the critical attitude kept that process moving). The early Sixties were the period of preparation and anticipation in almost secret avant-garde circles of what later became known as the ferment of "the" Sixties. And unlike most other periods of societal change music and music related topics played an important role in the worldwide upheaval of that time. The invention of new styles of music and the breaking up of strict musical categories were one of the most important indications of that period. 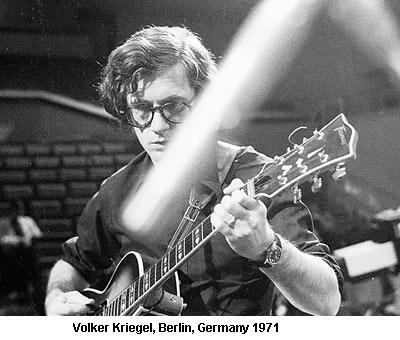 Interestingly enough the term Jazz Rock was born before Rock became the big and accepted category that it is up to this day when Volker Kriegel was the guitarist of the Dave Pike Set, the quartet of the US avant-garde vibraphone player who lived in Germany at that time. 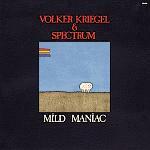 Only a little later Kriegel founded the Mild Maniac Orchestra together with the keyboardist Rainer Brüninghaus. 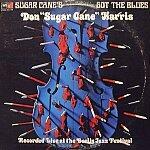 In the early Seventies he recorded some of the most sophisticated early records for the famous MPS label, partly as a band leader and partly as a sideman for others, among them two recordings of the Jazz and Blues violinist Don "Sugar Cane" Harris, the second recorded live on the Berlin Jazz Days 1971 together with Wolfgang Dauner, Terje Rypdal, Neville Whitehead and Robert Wyatt. 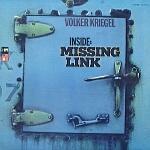 Among Kriegel’s musical mates of this period were such international celebrities as Alan Skidmore, Nippy Noya, Albert Mangelsdorff and Eberhard Weber. 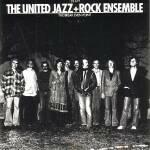 In 1976 Kriegel was one of the co-founders of the United Rock and Jazz Ensemble together with Jon Hiseman, Barbara Thompson, Albert Mangelsdorff, Wolfgang Dauner, Eberhard Weber and others. 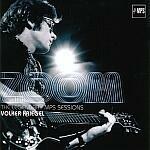 Together they performed a series of very sucessful records and concert tours. 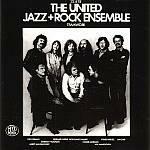 And it was the United Jazz and Rock Ensemble’s farewell tour in 2001 that also was Volker Kriegel’s "farewell" to the musical world.